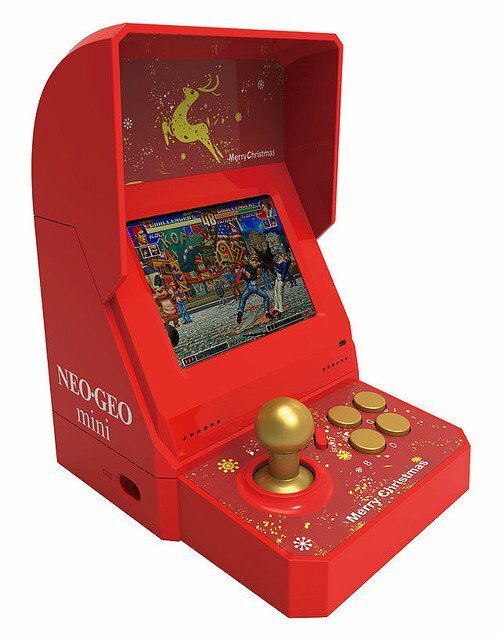 SNK announced a Christmas Limited Edition NEOGEO Mini featuring a total of 48 classic games, topping both the International & Japanese versions which each have 40 games. The games lineup for the Christmas Edition is also slightly different from the two other versions, containing unique titles such as Fatal Fury 1-3, Real Bout Special, Savage Reign, Ninja Combat, The Super Spy, Soccer Brawl, etc.. No release date or pricing details have been announced yet. This article will be updated when we learn more. 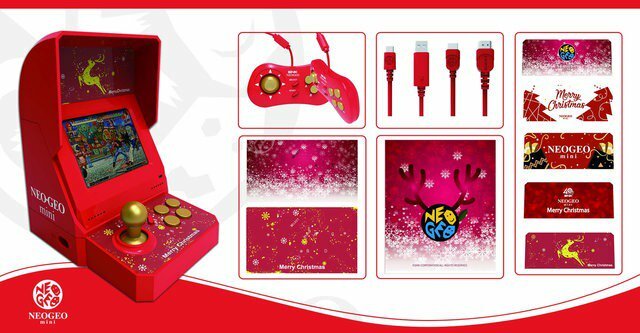 The NEOGEO Mini Christmas Limited Edition will even feature Xmas-themed controllers, HDMI cables, and stickers. Take a look at the full games list below. 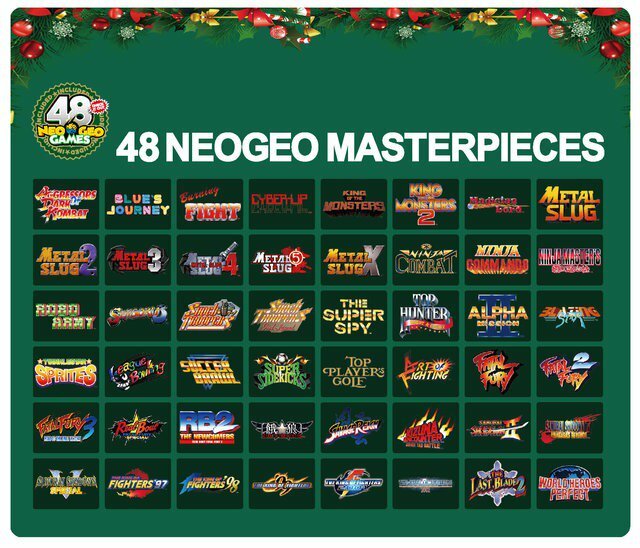 You can compare the Christmas Edition's list of games with the 2 existing versions of Neo Geo Mini, below. Stay tuned on FightersGeneration.com for more coverage of NEOGEO Mini. We have several NEOGEO Mini International Editions up for sale over at Shop TFG.